Join the club where you can learn how fun the form of hip-hop dance can be with no prior experience. 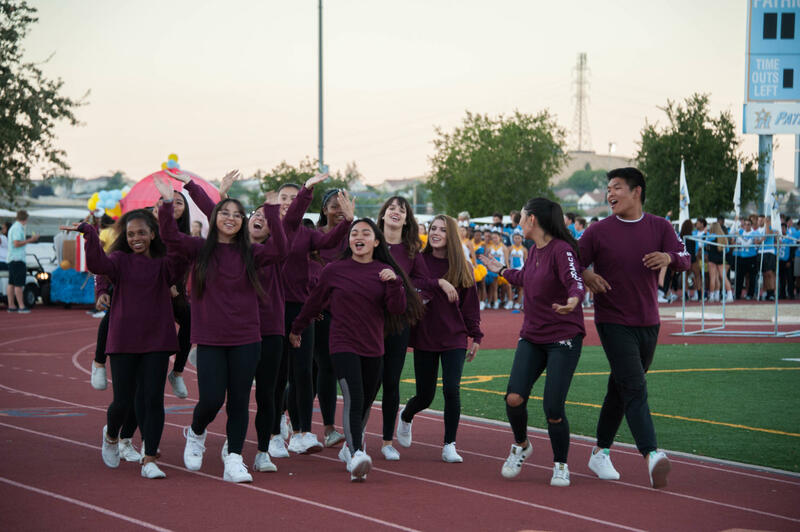 Heritage High’s Hip-hop club is a pressure free zone were you are surrounded by positive people who just wanna dance and make new memories along the way. All grades, ages, gender, it does not matter. They meet up and learn a routine or just improvise. They even preform in the ralley and many other school events. This year they will be at the homecoming dance. With many other surprises to come this year. Raven Yelder (10) that has recently joined the club and explains how she got involved and what made her want to join in the first place. “I love to dance but I have never tried it before… I did when I was little but I forgot most of what I learned.” Said Yelder. That’s why there club is such a success because of the friendly people, and the presentation they did on club rush. Shane Barreda (10) is another student who is apart of the club and enjoys it very much so far. “ It just looked really fun when I saw the people at the stand dancing all together and everyone would stop to look at them so its what got me interested” Said Barreda. So her and many other that are apart of the club are very happy so far. The club itself has been very successful, and we are all excited to see what’s next in the future and we hope to keep seeing them grow through each year.